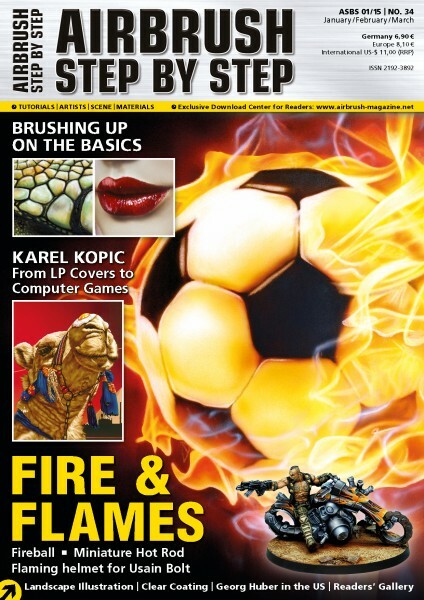 Even computer game designs are created with the airbrush by the renowned illustrator Karel Kopic. Georg Huber reports about his first exhibition in Manhattan. Related links to "ASBS Magazine 01/15"
Customer evaluation for "ASBS Magazine 01/15"